When Northeast Ohio Parent asked readers about their family-friendly favorites around the region, an overwhelming number of moms and dads stepped up to the challenge. Here are the results from our second annual Parent Choice Awards in the “Health, Learning & More” theme. View the complete 2017 Parent Choice Awards winners in our July issue, or click here for winners in the “Things to do with Kids” categories. Click here for winners in the “Food & Shopping” categories. 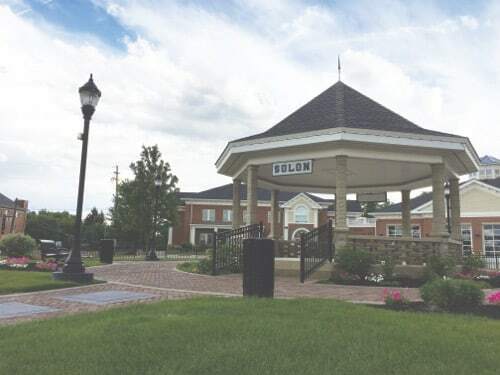 Solon offers amenities for families of all ages and interests. From the Home Days festival in July to the citywide Snowman Contest during winter months, the city supports family-friendly activities, especially through its recreation department, the Solon Center for the Arts, and the Department of Senior Services. Scenic views and family recreation abound in the city, which borders Lake Erie to the north and the Rocky River and Cleveland Metroparks to the east. Here, beautiful residential homes join corporate facilities, a wide variety of retail shops — both national chains and unique, locally-owned stores — and an eclectic dining scene. Avon offers residents the total package: highly-rated schools, family-focused parks, a lively shopping and dining scene, and more. Don’t miss Lorain County Metro Parks’ Miller Nature preserve, or the opportunity to catch a Lake Erie Crushers ballgame at Sprenger Stadium. Right now, Cleveland is the place to be, bolstered by winning sports teams, the recent RNC, and revitalized downtown areas, including the Flats and Public Square. Family-friendly attractions are everywhere, from dining and parks to museums and special events. Wadsworth truly offers the best of both worlds: the quaint atmosphere and family-friendly options of a small town, and the accessibility and convenience of a larger city. Shopping, dining and a historic downtown combine with highly-rated schools and many options for recreation. With its Lake Erie shoreline, proximity to downtown Cleveland and the cool vibes of its retail and dining scene, Lakewood is a happening place. It’s also very family-focused, from its schools, libraries and parks to great annual events both kids and adults love. Several Northeast Ohio locations mean homework help is close at hand, no matter where you live. Sylvan uses a mix of teaching and technology in its many programs, including tutoring, test prep, STEM topics and college prep. It also offers summer academic camps. With locations in Broadview Heights and University Heights, Huntington offers tutoring for all grade levels, as well as test prep for college and high school, plus state tests. Math Monkey offers a unique, game-based approach to improving math skills at its Cleveland location. Weekly sessions are taught in a small class setting; one-on-one instruction also is available. This Solon center’s curriculum includes programs that are multi-sensory, systematic approaches to reading and math, as well as tutoring for all subjects. North Coast also offers help to students with learning challenges. Aside from a huge collection of print and digital materials, Avon Lake Public Library offers its patrons the opportunity to borrow wireless hotspots, video game consoles, Roku devices, e-readers and even telescopes. The DiscoveryWorks part of the library provides endless hands-on displays to explore for a multi sensory experience for kids and tweens. Get a Science-to-Go kit and other activity bags. Kids can even get real-time weather fun with the Rainwise III weather station With rich programming for children, teens and adults, ALPL is a community resource that meets the needs of every family member. The Cleveland Heights-University Heights Public Library offers four traditional branches, plus the Heights Knowledge and Innovation Center. Since 1916, its founding ideals of providing outstanding library services, staff, and facilities has not changed. Young kids will love Storytime, Babygarten, and the well-stocked Children’s Area, while teens and tweens flock to Your Space, held on Tuesday afternoons. Providing information, entertainment, education and inspiration to community members of all ages, the library lends typical materials, plus board games and electronic devices. As one of 27 CCPL locations, Fairview Park has access to the lending library — including books, digital materials, music, movies, devices, toys, and much more — of one of the nation’s top-rated public library systems. The library, which has two branches, boasts nearly a half million items available for checkout and is open more hours than any other Ohio library. A wide variety of free concerts, films, story times, lectures and classes let the community come together. Aside from lending materials and rich programming for all ages, the RRPL also houses the Cowan Pottery Museum, which features more than 1,200 pieces of art pottery created by R. Guy Cowan and his associates in Lakewood and Rocky River in the early 20th Century. 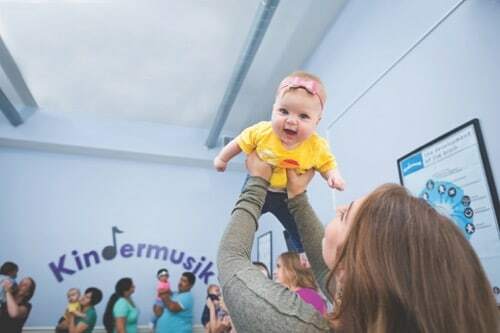 With classes available at several area venues, Kindermusik’s active music-making helps children develop everything from balance and coordination to listening skills and literacy. Its music-and-movement programs are available for infants through age 7, including special needs sessions and courses for children learning to master English as a second language. With locations in Strongsville, Westlake and Warrensville Heights, Gymboree enhances children’s development and love of music through song, dance, movement games and instruments. Each bright and colorful Snip-its location — Avon, Rocky River and Hudson — offers pint-sized amenities your children are sure to love: kid-sized styling chairs, kid-friendly products, games and movies, magic box prizes, and more. Moms and dads have a special place of honor at the parent chair, where they can be close at hand and share in the fun. This Solon adult and children’s hair salon is also a toy boutique and party place all wrapped up into one package. Kids pass the time with snacks, video games and movies, and younger guests sit in specially equipped car salon chairs. Several area locations and convenient online check-in make this walk-in haircare salon great for busy families. This full-service Aveda salon, with locations Beachwood and Mentor, offers a bit of luxury for adults and also caters to kids. Ranked a Best Children’s Hospital, Akron Children’s Hospital is the largest pediatric healthcare system in Northeast Ohio, operating two pediatric hospitals, nearly 30 pediatrician offices, and about 80 locations across the region. Whether a child needs a few stitches or treatment for a serious illness, Akron Children’s offers the highest quality of care, using the latest techniques and technology, as well as a caring touch. Hillcrest, located in Mayfield Heights, provides treatment for conditions ranging from minor injuries to critical and resuscitative care. It offers patient and family-centered care, with nurses trained in advanced cardiac life support and trauma care, and physicians certified in emergency medicine. Nearly 75,000 people from Cleveland’s west side visit the Emergency Department and Trauma Center at Fairview Hospital annually, experiencing the hospital’s “Split-flow” triage process that leads to more efficient patient processing and reduced wait times. From cradle to college, board certified pediatric dentist Diana Kyrkos and the staff of Bay Pediatric Dentistry are committed to helping your child achieve the best possible dental results in a comfortable and friendly environment. In addition to prevention, detection and restoration, the Bay Village practice offers Waterlase laser treatment, as well as sedation and anesthesia. Featuring bright colors, movie or storybook-themed artwork, flatscreen TVs and more, this Middleburg Heights practice, led by award-winning board certified pediatric dentist Danae Willenberg, is well-qualified and extremely caring. Led by board certified pediatric dentist Rebecca Robins, the staff at this Mayfield Heights practice is specially trained to help accompany children through their dental visits in a positive and enjoyable atmosphere. The office features WiFi, flat-screen TVs, a kids’ waiting area, and more. This independent practice in South Euclid is kid-friendly with the goal of easing anxieties about coming to the doctor. Its lobby houses a two-story tree house and has a separate waiting room equipped with computers for teens. Each exam room has its own age-specific decor, books and toys that make visits fun and more comfortable. This Westlake facility strives to provide the highest quality health care, to assist parents in the task of encouraging their child’s development, and to be advocates for the health and safety of all children from newborn to young adult. Fairview Hospital’s Birthing Center helps more than 4,000 expectant families bring their babies into the world each year. The facility provides a comfortable environment that features private rooms, low lighting, infant warmers, television, all of the necessary monitoring equipment, and specially equipped operating rooms for caesarean births. Hillcrest Hospital, located in Mayfield Heights, has been nationally recognized 11 times as one of America’s 100 Top Hospitals. It houses a family maternity center and Level III Neonatal Intensive Care unit. The Greater Cleveland Food Bank is the largest hunger relief organization in Northeast Ohio, having provided 50 million meals in 2016 to hungry people in Cuyahoga, Ashtabula, Geauga, Lake, Ashland and Richland counties. The food bank offers several much-needed programs, from mobile pantries and feeding more than 26,000 senior citizens monthly to BackPacks for Kids and Summer Feeding, which give children healthy food over a weekend or during the summer, respectively. Purchase a membership to view or post a job; get access to content on all things care-related; view contact details and make contact with caregivers; purchase background checks; and access references for providers. Care.com lets you go beyond word of mouth when seeking qualified care for your kids, whether it’s a full-time nanny or date night babysitter. Two local moms created this app, which lets users create a “village” and exchange free babysitting through points instead of money. The free app calculates, stores and transfers points. A network of Volunteer Babywearing Educators serves local communities, offering education and support for babywearers in Northeast Ohio through meetings, the group Facebook page and blog. BWI Cleveland maintains seven lending libraries for use during its open meetings and to dues paying members, giving parents a chance to try different carrier styles before settling on a favorite. Cleveland and Akron branches provide a “home-away-from-home” for families so they can stay close by their hospitalized child at little or no cost. At every house, families can enjoy home-cooked meals, private bedrooms, and playrooms for children. Several local chapters of this nationwide organization offer, in addition to other initiatives, a wide range of services for children and families including hunger relief, housing and homeless services, Christmas assistance, and youth camps recreation opportunities. Providence House fights to end child abuse and neglect by protecting at-risk children, empowering families in crisis, and building safer communities for every child. It offers free, voluntary emergency shelter to children newborn through 10 years old.